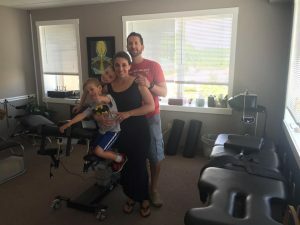 Optimal Spine Chiropractic expands practice with 2nd KDT Neural Flex Table! Congratulations to Mark & Jennifer Kordonski, D.C.s’ on their 2nd KDT Neural Flex table purchase! It was a fun family decompression training day! We wish you the best with growing the practice and we appreciate your business! https://kdtneuralflex.com/wp-content/uploads/sites/3/2014/05/kdt-logo.png 0 0 Courtney Buffy https://kdtneuralflex.com/wp-content/uploads/sites/3/2014/05/kdt-logo.png Courtney Buffy2016-11-21 16:52:202016-11-21 16:52:20Optimal Spine Chiropractic expands practice with 2nd KDT Neural Flex Table! All Content Copyright © 2014 KDT Neural Flex.